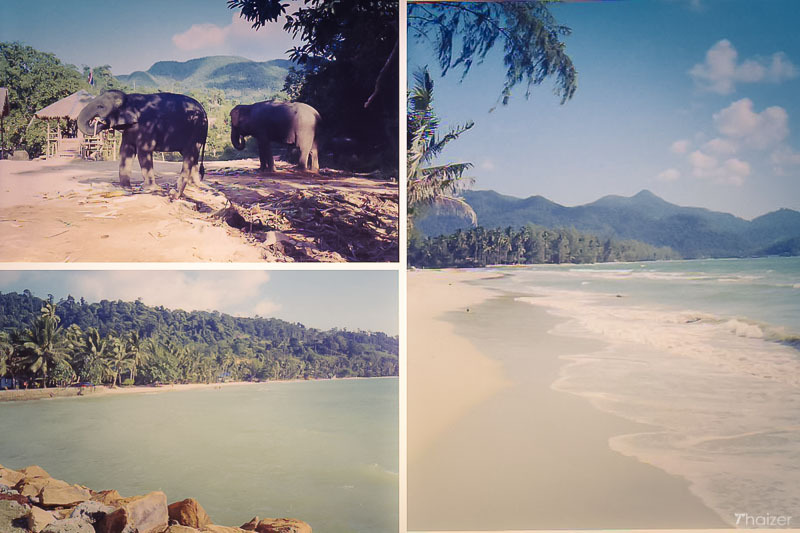 Situated south-east of Bangkok and close to the Cambodian border, Ko Chang is Thailand’s second largest island. Ko Chang is part of a national marine park archipelago which consists of 52 islands. Easily accessible from Pattaya and Bangkok, the addition of an airport at nearby Trat has seen a steady increase in the number of visitors. 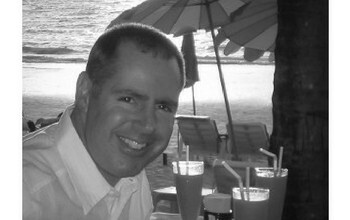 However, the island has so far avoided the levels of tourism experienced by Ko Samui and Phuket. Located on the west coast of Ko Chang, Hat Sai Khao (White Sand Beach) is the longest beach on the island and probably the most popular. There is plenty of accommodation here ranging from relatively cheap (but not as cheap as they used to be!) bungalows through to upmarket hotels. Hat Kai Bee is another popular beach, less developed than Hat Sai Khao but still offering plenty of variety for accommodation and wining and dining. Despite being Thailand’s second largest island, Ko Chang is only 30km long and 8km across. A road runs around most of the coastline, but much of the interior is inaccessible jungle-covered hills. There are songthaews which travel around the island, but many people chose to rent a motorbike and do their own exploration. 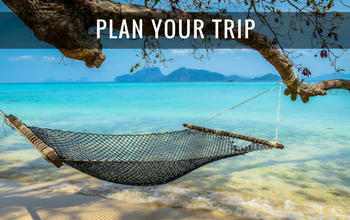 This is definitely a great way to see Ko Chang and find your own secluded spot. If you want to visit the neighbouring islands, boat trips can be easily arranged on Ko Chang as can fishing or snorkelling trips. The nearest airport to Ko Chang is located on the mainland at Trat with a connecting road and ferry service to the island. 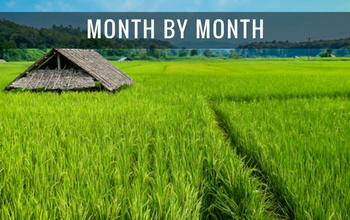 Bangkok Airways fly twice daily from Bangkok to Trat (fares in the region of 4,000 Baht return). The flight time is 50 minutes, but there is obviously additional time involved for the ferry crossing to the island itself. From Trat airport, a transfer service is available to take you all the way to your chosen hotel on Ko Chang. 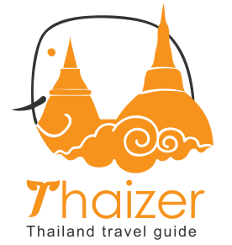 Fares for this transfer service range between 300-400 Baht. Buses depart from Bangkok’s Eastern Bus Terminal at Ekamai. Frequent services run to Trat bus station from where songthaews can connect you to the ferry crossing. There are also a couple of buses from Ekamai which will you take you to the ferry at Laem Ngop. 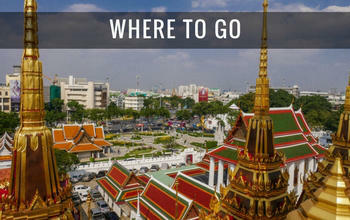 Fares from Bangkok range between 200-500 Baht and take approximately 5 hours. Just about every tour operator in Bangkok will be able to arrange shared mini-bus travel direct to Laem Ngop. The same applies if you are travelling from Pattaya which will take around 4 hours. There are 3 different piers which are used by the ferry operators to get to Ko Chang and the other islands in the archipelago. Walk-on fares range between 50-100 Baht and crossing times are about 45 minutes. On Ko Chang itself, songthaews meet every ferry which arrives and will take you wherever you are staying on the island.